November | 2009 | Chickens Don't Clap! 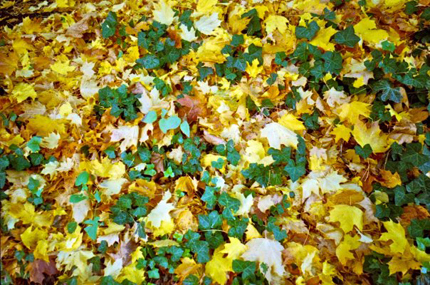 Buy: Pre-order Fall Be Kind from Domino Records as CD or LP (with mp3 download). The digital version will be available on November 23rd. Now, with the year’s end looming, many are not only beginning to reflect on what 2009 had to offer, but also churning out hype for some of the more anticipated releases of 2010. I’ve already mentioned the addictive first single from Yeasayer‘s upcoming Odd Blood, which is sounding like it might be the biggest surprise of early ’10 (…that sounds weird right? Say it out loud. ’10? Weeeird.). As I work on my year-end features and lists, I can’t help but feel that I’d like to try and finish 2009 first… except, there’s a lot more to look forward to in next year’s early months. 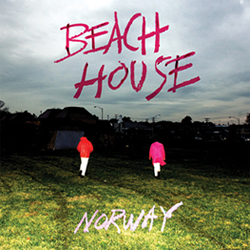 Just a few days ago, Beach House unveiled “Norway” from the upcoming Teen Dream. On their third record, Victoria Legrand and Alex Scally are still crafting their dreamy minimalist pop with many of the same elements — chintzy drum work, effects-laden guitars, woozy organs, and ethereal vocal work — and yet this feels bigger than perhaps any song they’ve put out thus far. Opening with simple drum hits and organ drones, “Norway” explodes into a surprisingly layered cascade of breathy vocal stabs and starbursting guitars, only to slip into a dizzying meander of bent notes and Legrand’s soothing drawl. Alternating between hazy swoon and dazzling heights, this track makes a promise that Teen Dream is sure to deliver on when it drops January 26th on Sub Pop. Buy: You can pre-order Teen Dream from Insound as LP or CD right now. Buy: No pre-order for Causers of This yet, but you can pick up the “Blessa” single (with b-side “109”) as 7″ or mp3s from Insound. 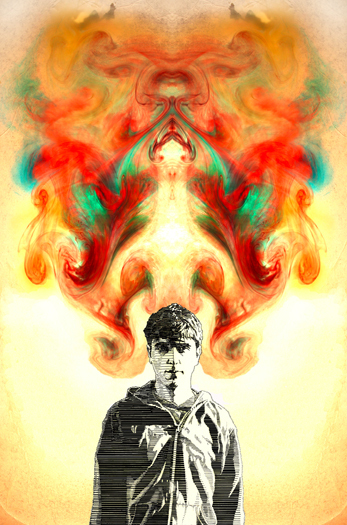 Look out for the possibility of Animal Collective’s “visual album” seeing the light of day, and maybe new records from M.I.A., Kanye West, Joanna Newsom, Panda Bear, Arcade Fire, Burial, No Age, Menomena, The Books, and Mock Orange. With any luck, next year may also see the release of the insanely anticipated follow-up to Since I Left You from The Avalanches. Sure, it’s been ten years… but it sounds like they’re just clearing samples at this point. At our current stage of technological development, virtually anyone can start making music and distribute it to people via e-mail, website, blog, or social network. This kind of unprecedented technological access presents results that can be both exhilarating and frustrating, highlighting widespread creativity and a welcome reception of an ever-widening array of musical styles, but also exposing our generation’s increasingly limited attention spans. I’m still mostly exhilarated (would I be here if I wasn’t? ), if maybe a bit exhausted. Music projects are flooding the internet, bands rise fast, some seem to fall even faster, whole genres crop up in a matter of weeks (days?). But, of course, it’s not like everyone has access to equal technologies. A large number of new acts have embraced a decidedly lo-fi approach to recording music — take the current explosion of “chillwave” — one born of necessity, but typically embellished for the sake of art. It’s difficult to imagine another world in which Seattle’s Big Spider’s Back could be doing his thing. Armed with guitars, synth, and a Roland SP-404, Yair Rubinstein has been constructing rich webs of kaleidoscopic bedroom-pop for more than a couple years now, carving out a local following with his subtly mesmerizing live performances and an increasing presence on the web. And while he may approach music in a way that’s similar to a number of his peers, Yair’s aims feel different. His recordings aren’t hi-fi by any means (all of his songs are home recorded onto his computer) and yet the songs on his latest and most realized effort Warped are surprisingly dense, even downright towering at times. It becomes quite clear early on that this ain’t no peak-heavy, over-compressed, Casio-synthesizer shtick. Instead, this EP finds Yair wafting through a spacey soundscape of melded electronic ambience and psychedelic pop not so far from contemporaries Atlas Sound and Panda Bear. Throughout it’s all-too-short 17-minute run time, Warped also displays an impressive emotional depth along with Yair’s compositional prowess. “Again, Agent”, which should be familiar to followers of his blog, floats and swells in sweet melancholy, consuming the listener with layers of hypnotic synth, harmonious feedback and looping, reverbed stabs of percussion and sample work before fading into standout “Perfect Machine”. Opening with a crescendoing assemblage of sounds — off-kilter acoustic guitar strums, pulsing electronic tones, percussive clatter, effects-laden vocals — this track slowly builds into a soaring wave of droning electro-psychedelia. Lush, ethereal, resonant, and elaborately constructed, “Perfect Machine” features all of Big Spider’s Back’s strengths in one infectious burst. The title track is perhaps Warped‘s most immediate jam, pushing into Person Pitch-like sampledelic-pop territory before segueing into the instrumental meandering atmospherics of “Spooked”. “Don’t Make Me Laugh” ends the EP with a subtle exhale of fragmented nostalgia that unfolds into a transcendent swirl, only to dissolve just as patiently. Warped comes out on November 10th on Portland label Circle Into Square. Until then, check out the excellent (and recently Forkcasted) “Perfect Machine” from the EP down below and also the previously BSB blog-shared boom-bap of “Mind Grapes”, which Yair bills as a Flying Lotus tribute. Buy: You can pick up Warped from Circle Into Square on November 10th. Watch: Peep Big Spider’s Back new video for “Warped”, featuring some hazy, polychromatic visual work from Seattle artist Karla Santos.